Today Kats gave one day's class, then I could become a student. When I was doing ash walk, sudeenly very tranparent imege which resonance pattern of strings are happening on the origine lifein the very complex ways. It was a complex resonance pattern of strings among RNA (ribonucleic acid), protin, Natrium-karium pomp, and Carucium wave. 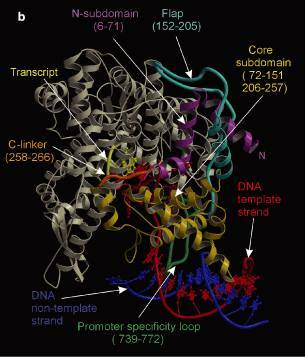 RNA is core of life memory before DNA. Protin is main material of living cells. Na and K create electlicity by entering into cell and draining out of cell. Ca transfers life qualia in the cell. At least these five elements should resonate together in the origine life. This is not the very biggining moment of the birth of life. After many trials and errors for tousands years, life established these resoannce pattern. And it is not visible, but the essense of life which is maintain-oriented these resonance pattern must be in the eleven dimensions. The essense of life is neither matter nor energy in the gross four dimesions, but something before matter and energy in the eleven dimensions including subtle seven dimensions. Illustration above is just a sample which is most simmilar with the vision which visited me today. But it is not solid like this illustration, but they are vibrating in high speed and five resonance pattern of strings are resonating in very complex way. Please try to imagine it. And imagine that there is a tendency to continue and invent new resonance patterns in the invisible tiny eleven dimensions. 8 october, 1967, My friend Yamazaki Hiroaki was killed by police in anti-Vietnam war movement in Japan. 1998, he entered my body and created this butoh dance. I performed this peice in Japan, Thailand, India, France, Holland, Hungary, Romania, Yugoslavia, Slovakia, Venezuela, USA, and so on. Not me, but Yamazaki danced through my body. We will stop the war and nations which promote wars. when Kazuo Ohno performed as a memorial butoh performance for Dr. Miyata in Hokkaido, Japan. Dr.Miyata's daughter Yuuka gave me these pictures for me. When I lived in Kyoto,Japan. She helped me as a music stuff at my butoh performances. for suffering of management of his mental hospital. Kazuo Ohno performed at Dr.Miyata's hospital in front of mental handcapped paitients . And photografer Hosoe took his pictures at this memorial performance and in huge field of hokkaido. Life met life and separated. This photo album is work of soul. Kazuo Ohno has transformed to weakened body as his whole being with taking a hundred years. What is the miracle of Kazuo Ohno? When I was young, I was so deeply crazy about Tatsumi Hijikata's weakened body that I could not understand Kazuo Ohno's butoh. Honestly saying, I did not like his dance. Because I have seen his performance so many times, it seemed as the same as always. When he was eithies he always showed same bigining. He appears on the stage, and arises his right arm, this seemed his habit to begin performance. And lets his soul fly away from his large hand. His body movement slowly starts to follow the flying of his soul in the space. Now I can feel that is great. But at the young age, because I was so deeply possessed by Hijikata's weakend body, I could not satisfy with Kazuo Ohno's butoh. But at that ages he put a secret poizon in his performance. When he becomes over nineties yeas old, a miracle happened. I saw a performance at Torii Hall in Osaka, Japan, at 1990's. He was arround ninety years old. He appeared on the stage as usual, and started to arise his right arm. At the moment suddenly his arm fell down and his body changed into so strange shape which I had never seen. It was so surprising moment. I felt that he must did so hard traning for this moment. After for long years he showed stereotyped movement, and at ninety years old he turned the table. His performance at that day was miraculous. His body seemed almost unable to move, his mind could not controll what he did. He mistaked exit from stage between a stage to next stage, and showed his body as a lost way body. There were no usual his patterns like as the soul goes ahead and the body follows it, but both of his soul and body seemed to belong in another dimension like a near death world. He finally succeeded to transform into weakend body. It was not same way as Tatsumi Hijikata, kazuo Ohno invent compretly different way. It was a way to transform directly into living Budda through dancing. When he finished all performance, I hugged his weakend body firmly. I recieved a big secret present from him through the big hug, I still keep it in my darkness of body.